A series of 20 digital images, printed on archival pigment paper, 20"x 25" edition of 3. Installation dimensions variable. Salt mines in Northern Brazil have been a local source of income for centuries, long before corporate interests turned the homegrown industry in a multimillion dollar export business. 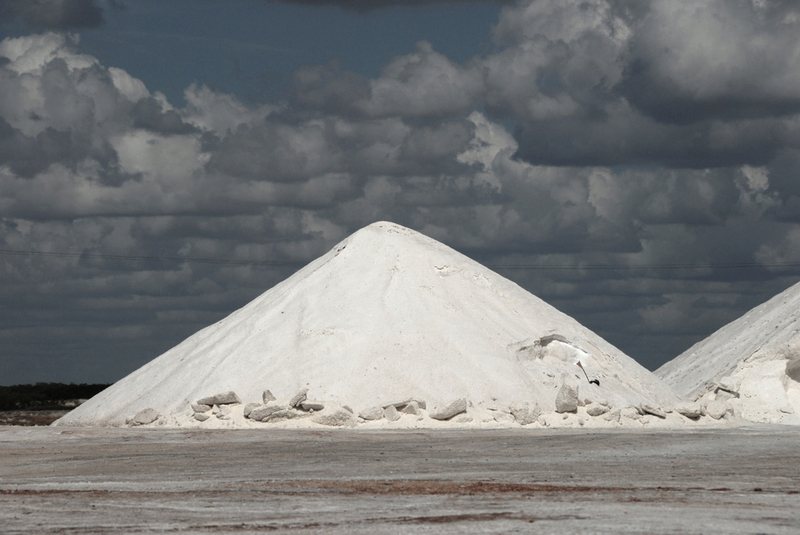 Solar evaporation is the oldest method of salt production. It has been used since salt crystals were first noticed in trapped pools of sea water. Its use is practical only in warm climates where the evaporation rate exceeds the precipitation rate, either annually or for extended periods, and ideally, where there are steady prevailing winds. Solar salt production is, typically, the capturing of salt water in shallow ponds where the sun evaporates most of the water. Initially mined by hand, the gathering process is powered by mechanical harvesting machines today. Large corporations have bought out the land that belonged to generations of families who mined salt here.